This is an English Sideboard made before breakfast this morning, Breakfast Furniture. A client bought it in the dark by flashlight. Never do that. 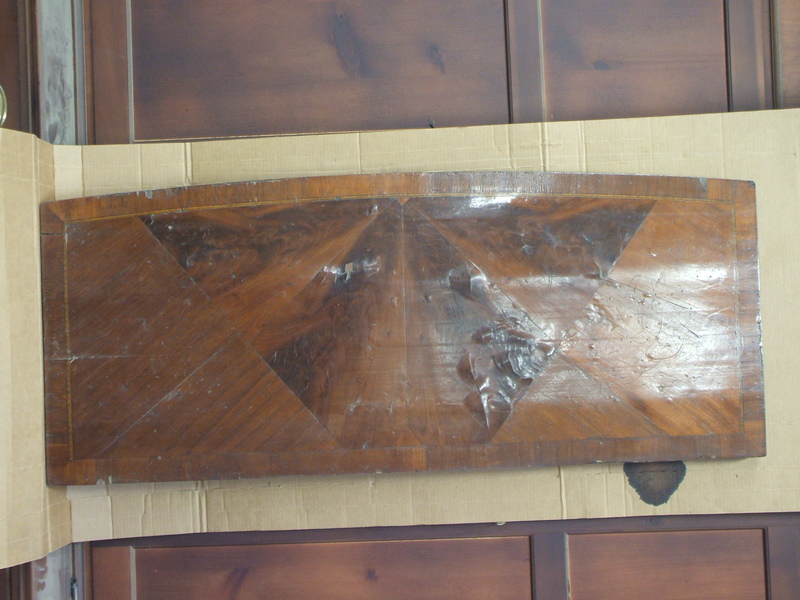 The top is made of two pieces of deal and then veneered. The deal substrait had badly cupped and shrank. This had an adverse affect on the veneer. The only solution to this problem was to make a new top. 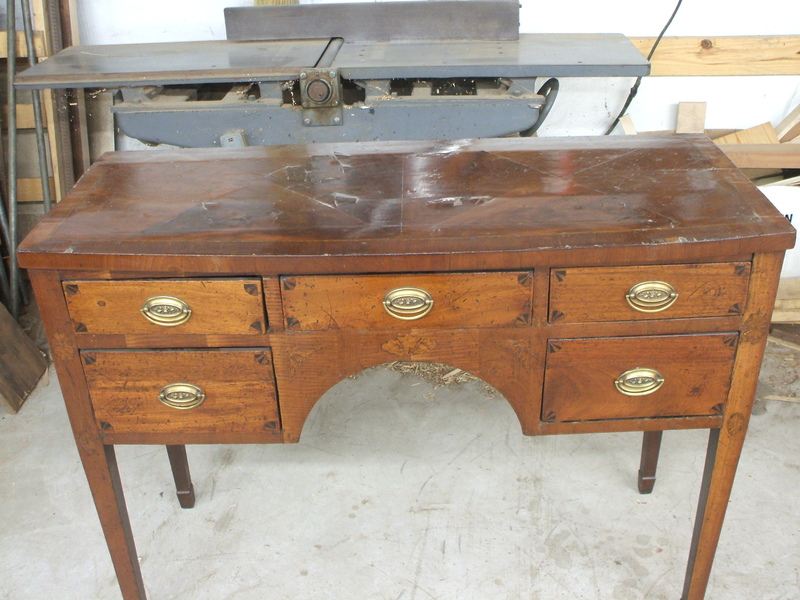 This entry was posted on January 4, 2012 by furniturewithhistory. It was filed under Veneer Work and was tagged with fake, side board, vemeer.